Unfortunately, my "before" photos of my thrift shop breadbox are unavailable. I had no memory card in the camera. Senior moment! But I found my breadbox's twin on ebay. 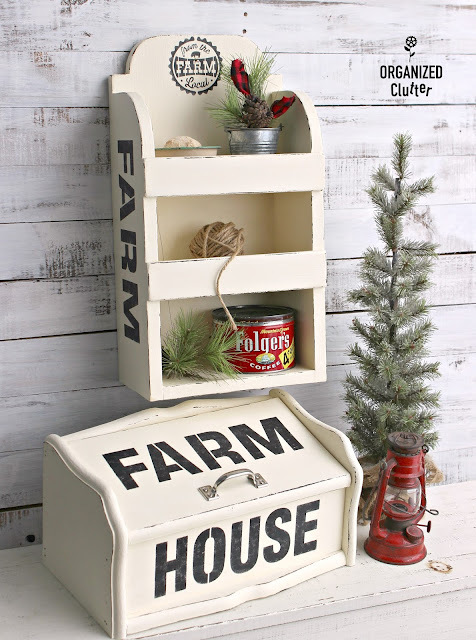 My first step was to paint the breadbox with two coats of Rustoleum Light Tint Base Chalked Paint mixed as Chiffon Cream. I like the Chalked paint line from Rustoleum. 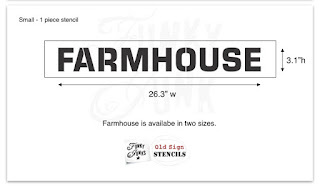 I used the Farm part of the *Old Sign Stencils Small Farmhouse stencil on the lid of the breadbox. I stenciled the letters with Ceramcoat Black Craft Paint. 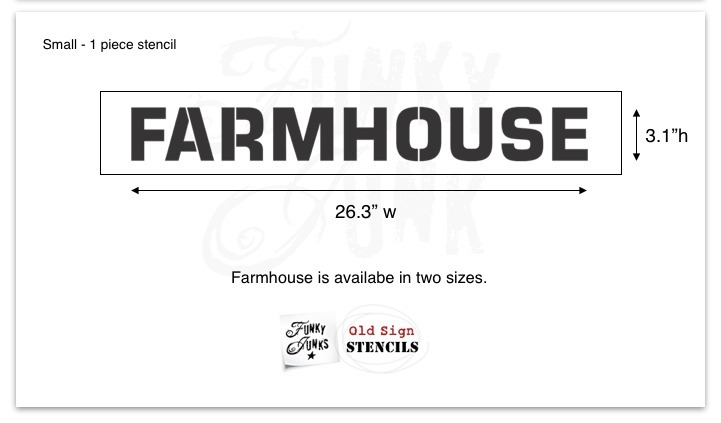 I had planned to stencil house on the bottom section of the breadbox but the letters were to big for the space. 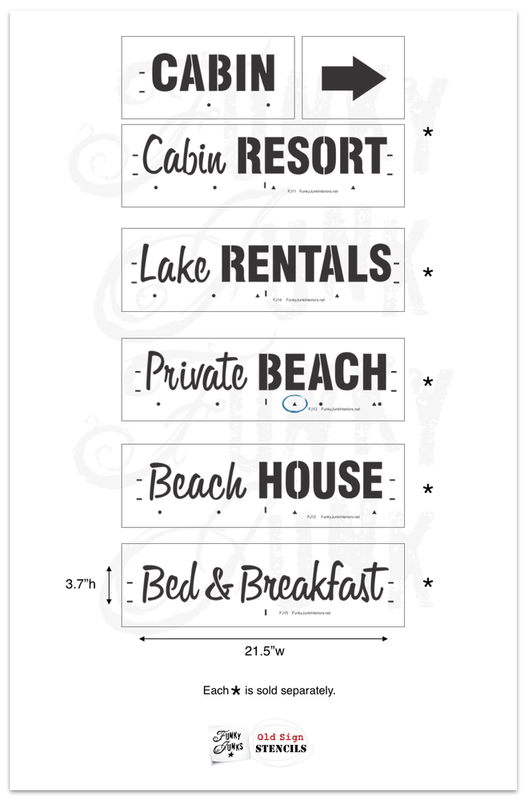 I also had the Beach House stencil from the Getaway Collection, and it fit the space perfectly. 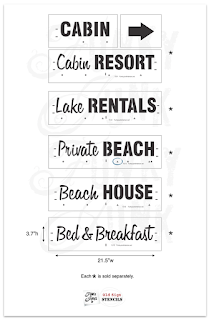 I snipped a small section of the stencil with a scissors so "HOUSE" would lay flat on my breadbox. I then sealed my project with Varathane Crystal Clear Water-Based Poleurethane Satin . I didn't have any bleed through of wood stain on this piece. 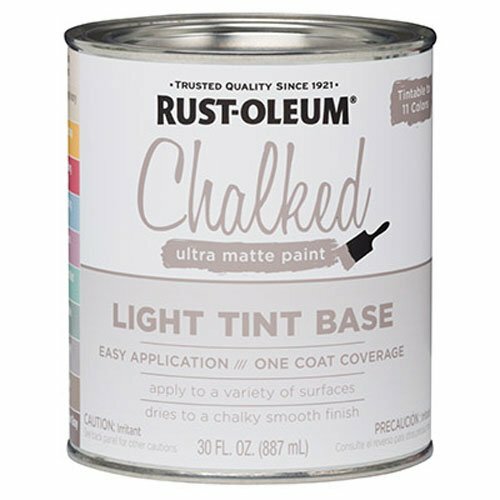 If you do get bleed through, you will have to either spray Zinsser Bulls Eye Clear Shellac Spray or brush on Zinsser Bulls Eye Clear Shellac , and repaint areas with bleed. 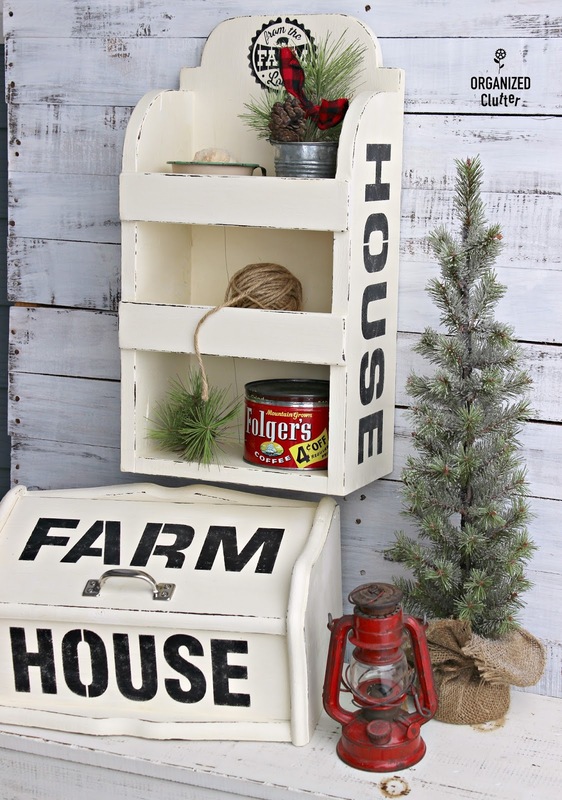 I lightly distressed the breadbox edges with Ceramcoat Walnut Noyer paint and FolkArt Layering Wood Block. Details on the layering block technique is here. I replaced the boring wooden knob with a National Hardware 4" Sash Lift in Satin Nickel . The old knob was attached with a staple and not a screw so the holes were easy to fill with paint. 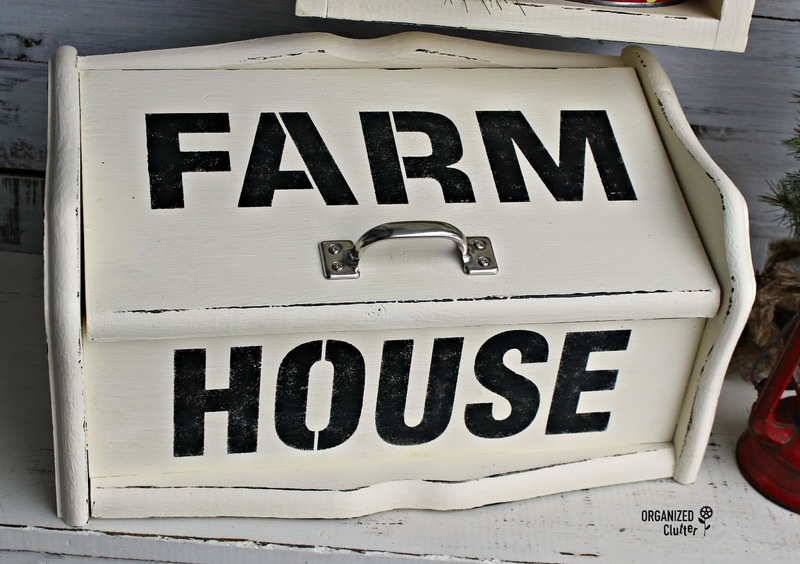 My Farm House breadbox matches my recently upcycled shelf. Mismatched thrift shop items become coordinated trendy decor pieces with paint, and especially with paint and stencils. And what about Christmas giving? 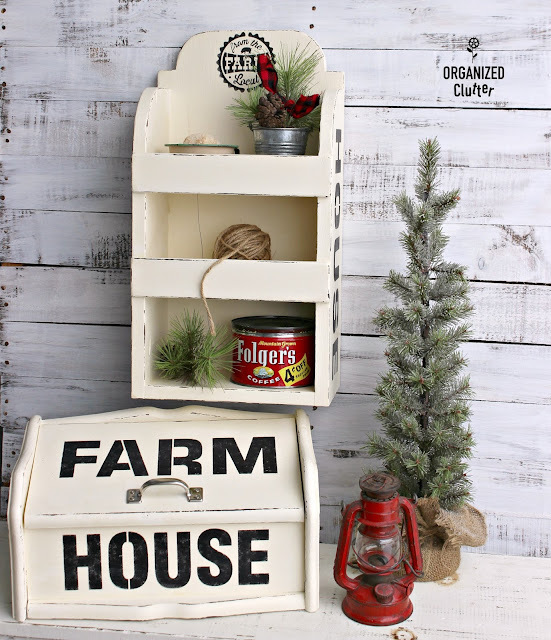 Upcycled thrift shop pieces make excellent gifts! My girls love getting my upcycled projects. I hope farmhouse style never goes out of STYLE! Love both these projects! And my husband wonders why I buy anything that is solid wood at thrift stores!